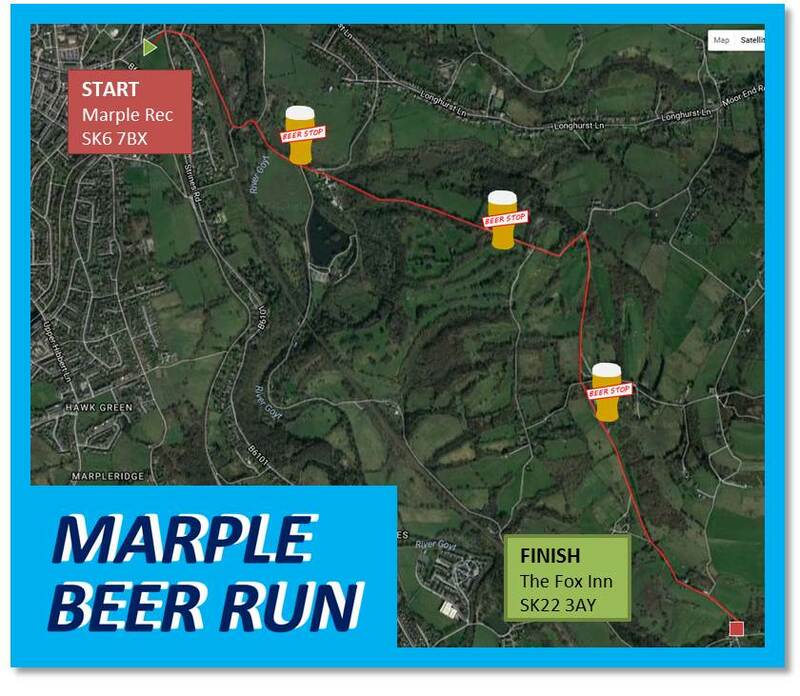 Marple Beer Run runs from Marple Recreation Ground on the corner of Oldknow Road / Arkwright Road in Marple to the Fox Inn in the glorious countryside at Brookbottom. 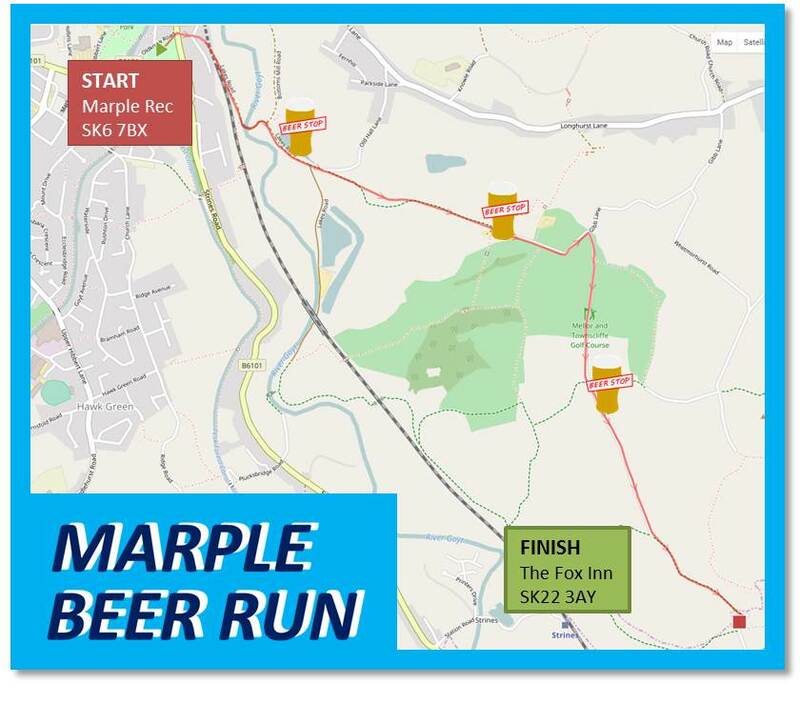 The race starts on Marple Recreation Ground around the corner of Oldknow Road and Arkwright Road. Beware that there are no toilet facilities at the start-line. After carefully crossing the road, there’s a steep downhill slope out of Marple past the Garden House and on to the Roman Lakes. The route continues along the flat road and before you know it, you’re already at the first beer stop. This whole kilometre is uphill, up a slightly pebbly path (so take care). Finish the path and follow straight on up the road, and the next beer stop is just a hundred metres or so on the right. Aaaand relax. Follow the road as it bends steeply uphill past Mellor and Townscliffe Golf Course, and then turn right to run through the Golf Course. This is the only real corner on the course, so remember it (but it will be signed!). You’re now on the home straight, as you follow this undulating but generally flat path across to the Fox Inn – with a beer stop on the way. Follow the path as it meanders generally downhill towards the Fox Inn, where you’ll be greeted with a rousing cheer from all your fans and presented with a beer token to spend at the bar. Well done on finishing the race, not relax and enjoy the (hopefully) live music and carnival atmosphere. Bliss.